Happy Friday! 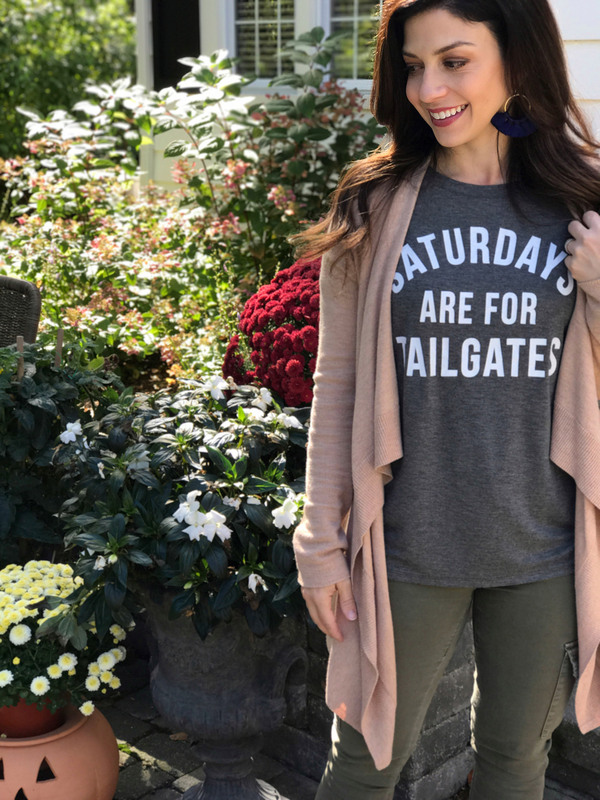 Today, I’m sharing a few things from last weekend that I’m hoping will inspire you for this weekend or one of your upcoming weekends. Last weekend we hosted a cookout at our house with some of our neighborhood friends. 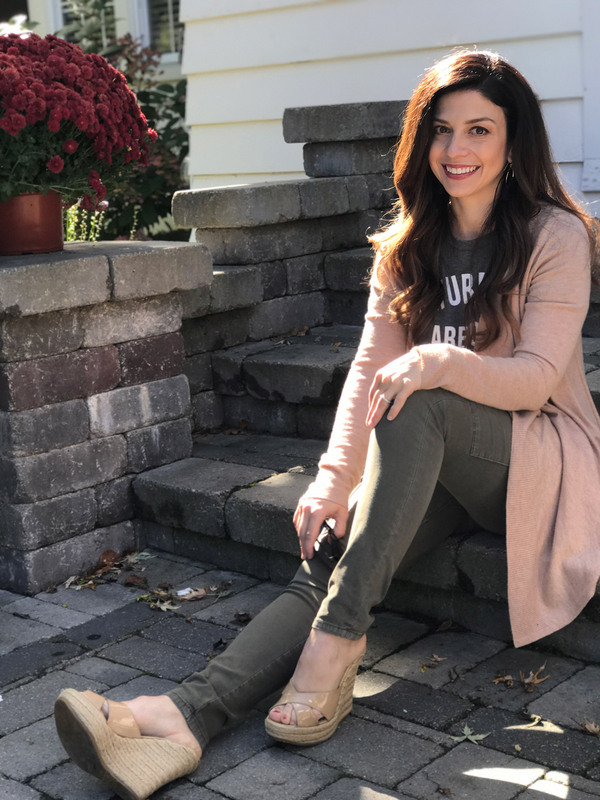 It was a nice and easy afternoon where everyone brought something and we just hung out outside watching the kids run around and play, with football on inside and lots of food! Clint made pulled pork in the smoker, and my contribution to the cookout was these mini ricotta cheesecakes with homemade apple butter. I talked about this on my Instagram story, so I apologize if you’ve already heard this. But I was inspired to make this dessert by one of the recent Wise Apple lunches that Jackson had. In one of them, the dessert was whipped ricotta with apple butter. Jackson liked it pretty well but Dylan LOVED it, so I had to give it a try. And I have to say that you NEED to make this dessert! It tastes like fall and it’s just light and so good. Plus, that apple butter goes well on so many other things – which is good because that recipe makes a HUGE batch. I actually froze some of mine for later! 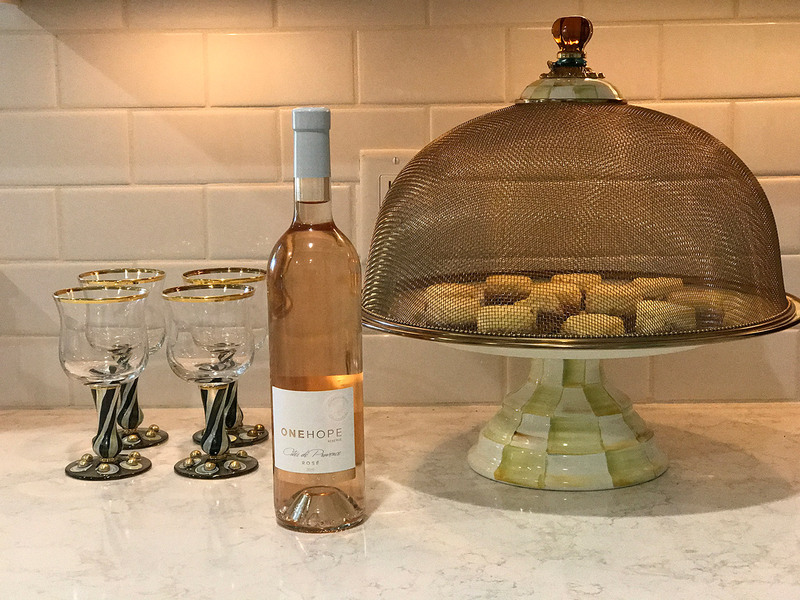 We paired it with this ONEHOPE Reserve Cote de Provence Rose (just because summer is over, doesn’t mean rose days should stop!). and it was perfect. 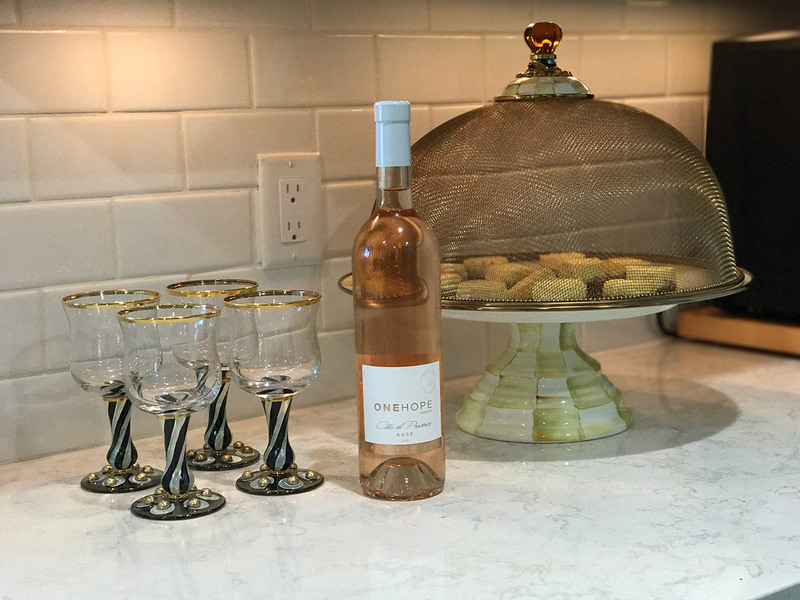 This is a dry rose and is also really light and delicious. 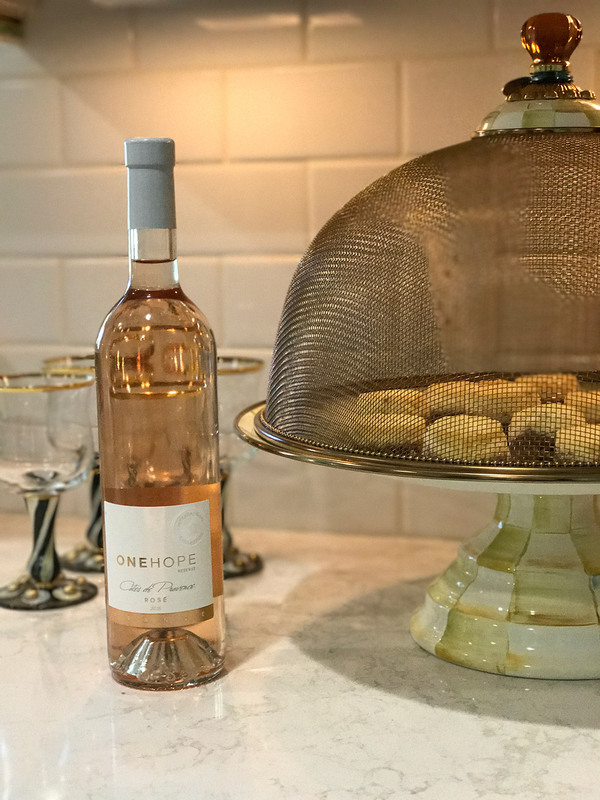 If you needed another reason to keep rose days going, for every bottle of the #DrinkPink wine collections that is sold, ONEHOPE is donating to The Ovarian Cancer Research Fund Alliance and/or the Gateway for Cancer Research. Get more information on what they’re doing, and what bottles are included here. We served everything on these beautiful Mackenzie-Childs pieces that they were kind enough to gift to us this summer. This platter is even better in person. It’s so pretty, and the dome that sits on top of it is just gorgeous. I like leaving them out in my dining room for display! And these wine glasses are awesome. They have a great weight to them and the details are so pretty – and they are hand painted! I’ve also been eyeing some Mackenzie-Childs pumpkins to decorate with this season – and don’t even get me started on their holiday items!